This week's SOP - Standard Operating Procedure - is one that I hope you get to use a lot. It covers a key piece of "on-boarding" a new managed service client. I go into this in much more detail in my book Managed Services in a Month - http://www.managedservicesinamonth.com/. But here's the key checklist part. This checklist assumes that someone has already made the deal and achieved a signed contract. Now you need to move them into your "system" as full clients. That means they need to get into your billing system, your ticketing system, your monitoring system, etc. I'll present the basic checklist first and then make some comments. This process assumes that you have several functions in place. If you don't, you should. If your shop is small, then you may play all the roads. But you need to build the company you wish to become. When we were moving lots of clients over to the new contracts, we used this list a lot. All of these lists need to have a work flow that makes sense. Some work is done by the tech department, some by admin, etc. And someone has to keep track of these documents so they don't get stalled somewhere along the way. Ideally, everything on this list will be achieved in 1-2 days. For each of the following items, note the Person Responsible and the Date Completed. - - At this point, the Service Request will be worked by the Admin department until handed over to Tech Support. - Change SR to “Schedule This"
- - At this point, the Service Request will be worked by the Tech Support department until it's time for client training. Your client training might be provided by techs, Customer Service Reps, Sales Dept., or someone else. So there's the form and the flow. Sales to admin to tech to training. Just like on-boarding an employee, you need a checklist for on-boarding a client. After a month or so, you'll assume all these things are done. But if you get into a discussion about what a "Priority One" is, you'll feel a lot more comfortable if you can point back to the training you did. And you know you did it because it's on the checklist! Of course your process will be a little different. Change as needed. Above all else, you need a consistent process that can give you repeated success. 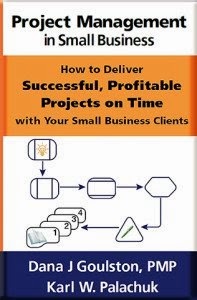 About this Series SOP Friday - or Standard Operating System Friday - is a series dedicated to helping small computer consulting firms develop the right processes and procedures to create a successful and profitable consulting business. Find out more about the series, and view the complete "table of contents" for SOP Friday at http://www.smallbizthoughts.com/events/SOPFriday.html. Next week's topic: Setting Up Alerts in Your PSA and RMM - 50th post in the series !!! 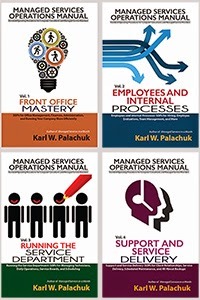 Still the best Quick-Start Guide to Managed Services: Service Agreements for SMB Consultants: A Quick-Start Guide to Managed Services by Karl W. Palachuk Now only $39.95 at SMB Books! Woke up this morning and one of my Relax, Focus, Succeed goals was to track down someone's client onboarding procedure I could use/customize. Thought to myself, I bet KP's got something! Sure enough... Awesome list, thanks Karl. Thanks Schyler! Glad it was useful. Great article Karl and i'm loving your SOP Friday series! 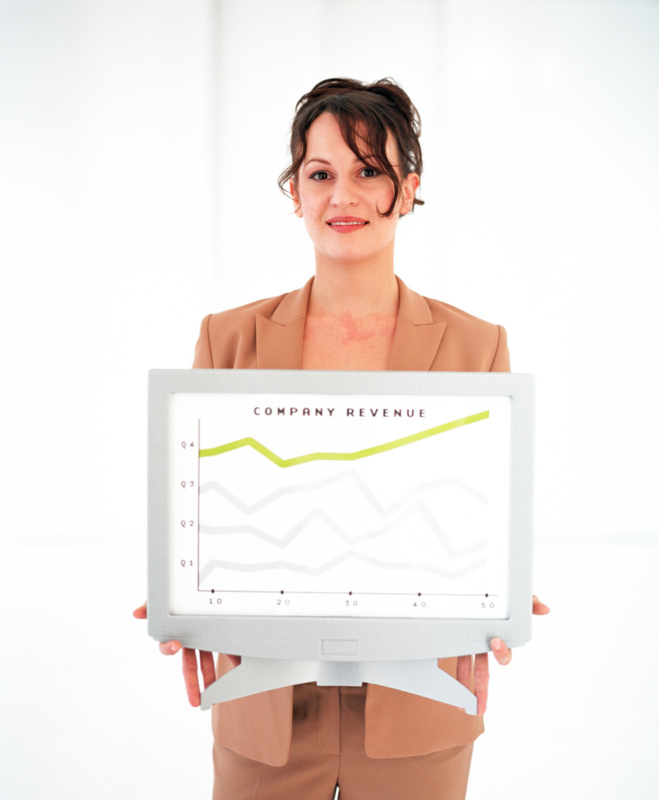 A quick question - Do you always charge an initial setup fee for new clients? Recently I have had some question the charging of a setup fee, with the discussion going along the lines of 'Why should we have to pay to become a client of yours...!'. Hey, Stephen - good question. We do charge a setup fee. And it's because we do a lot more than just enter their billing information into QuickBooks. With a new managed service client, we're going to visit each machine, document it, clean up viruses or other crap, give it a tune-up, install all updates to O.S. and critical software, and then add it to our system. Adding to our system involves removing whatever anti-virus program they have and installing ours. Then we install our RMM agent (Continuum) and a link so clients can enter service requests in our PSA. We then re-route their mail through our preferred spam filter. Next we check their backup strategy and backup performance. We consistently find that 50% of the systems we come across have no working backup - even if they think they do. So we devise a good working backup, implement it and test it. Of course we do have to enter the client into QuickBooks, the client and their contacts into the PSA, and the client machines into the monitoring system. We need to make sure we have them set up properly so their machines are taken care of. In all that we also document as much of the network as we can, create a network map (Visio). We set up relevant configurations in our PSA (e.g., system passwords, router access information, and other things we'll need to provide remote support. And of course we need to give the client a little training on managed services and our processes for getting the fastest service. All of that involves labor. Some pieces of it also cost us money in licenses (RMM, AV, spam). And truth be told, all of that amounts to a major system-wide tune-up of their entire technical operation. We have a four-month minimum for a managed service agreement. There are no partial or pro-rated months. That plus the setup fee is enough for us to break even and make a little money. Our standard setup fee is equivalent to the first month's manage service. So if the client will be paying $1,500/month, the setup fee is $1,500. This is also an area of flexibility. If the sales person wants to cut into his commission to make a sale, this is where that cut is made. We never discount the ongoing monthly rate. And if we have a client who signs on the 25th of the month, we can simply waive that month because we can live off the setup fee and we won't be out of pocket to get the client going. Thats great, when you list all the work that does go into setting up a new client then it is justified and some of the things you list that I do and probably take for granted! Dan - I agree on agreements. We try to call them that at all times. I really only use the term contract with consultants. My book title is even "Service Agreements" and not contracts. As for Investment - I agree but just haven't gotten in the habit of using that phrase consistently.